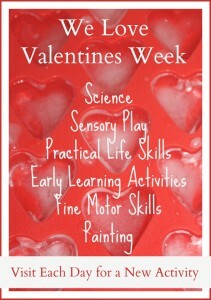 Welcome to-day 3 of We love Valentines Week! 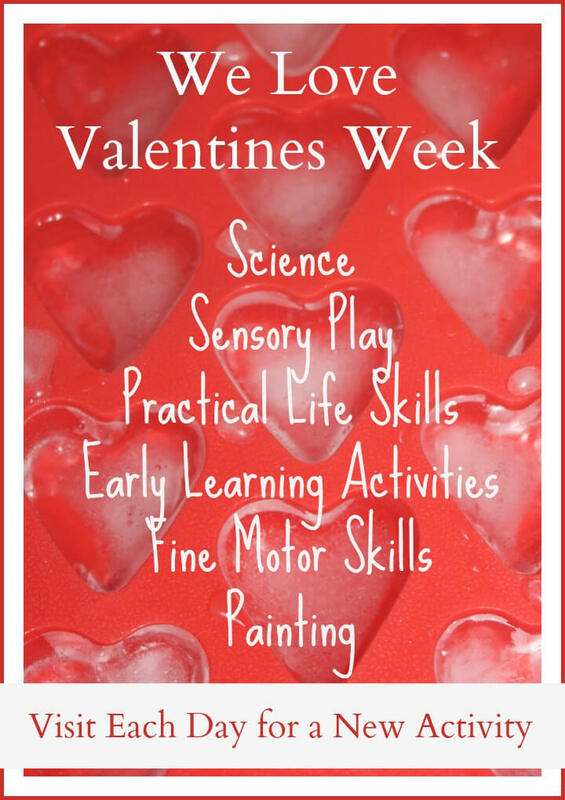 Make sure you check out Day 1 with early learning math and day 2 with a fun sensory bin and heart filling activity! Great things to come, please visit again soon! I have been really inspired to do more painting activities with my son after all the amazing ideas I have been enjoying all of the ideas over at Teaching 2 and 3 Year Olds. So many great ideas for introducing fun painting ideas! 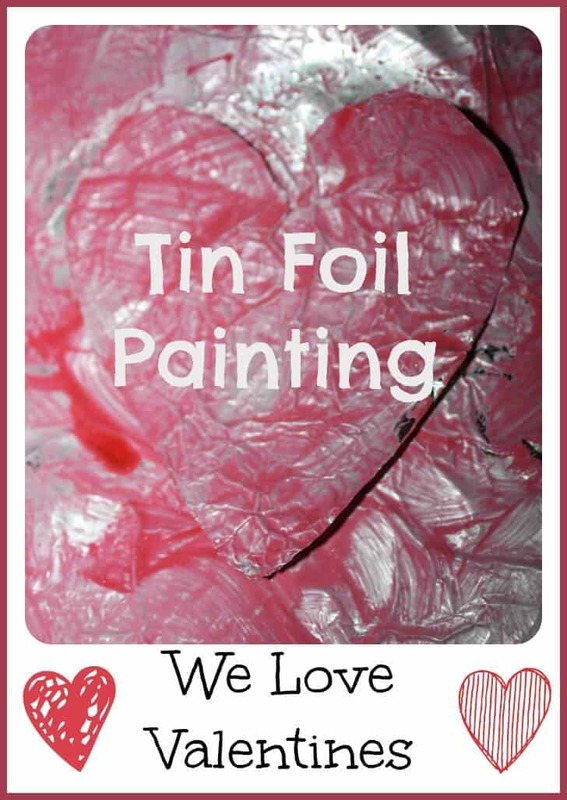 I thought tin foil painting would great to try for our We Love Valentines Week. 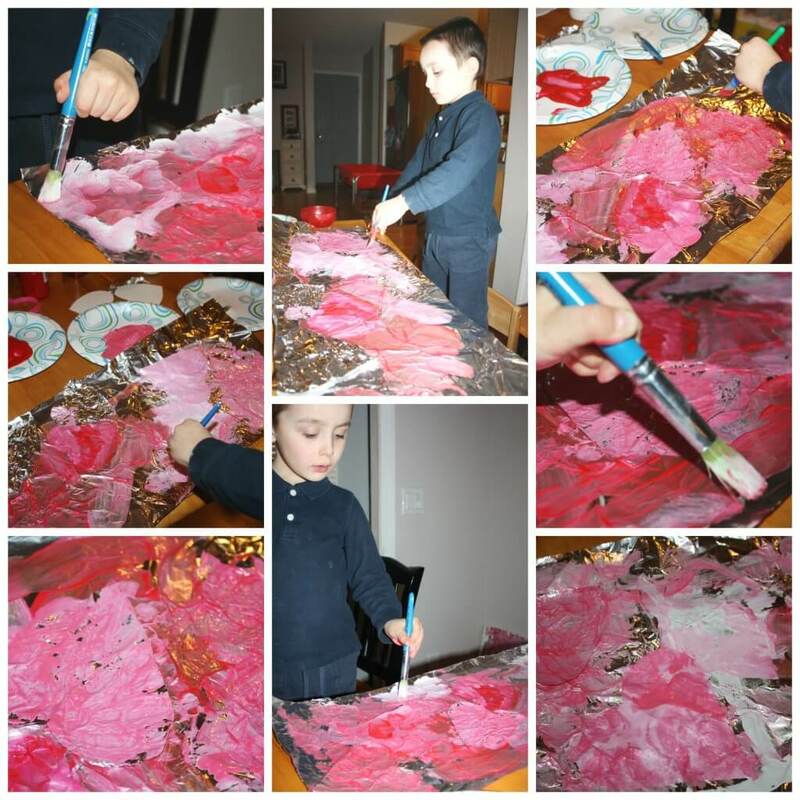 This tin foil painting activity was super easy to set up and easy to have fun trying today! 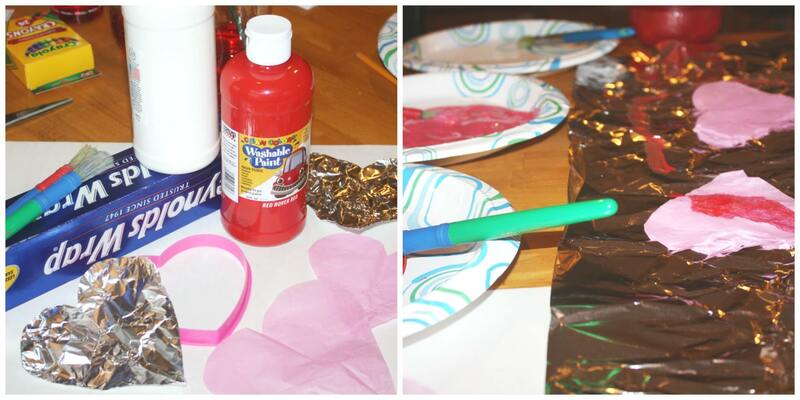 Tin foil, paints (red and white of course), brushes, paper plates and a little bit of tape to hold it all down! I cut out some additional hearts from foil, tissue and card stock for whatever he wanted! I set him up with three paper plates of paint, red, white and pink. Each plate had a brush. I simple encouraged him to paint what and how he wanted with minimal mommy interference. I did have to try it myself and ultimately modeled some ideas for him to try as well. He liked painting the tin foil hearts on top of the tin foil and it was a nice effect in the end! I also thought it would be fun to press white card stock hearts onto the foil and make some fun painted hearts for another project! I did seal a tin foil heart in packing tape to hang up.